We will also be providing a full day of courses from the University & Rider Education Programs for your enjoyment! 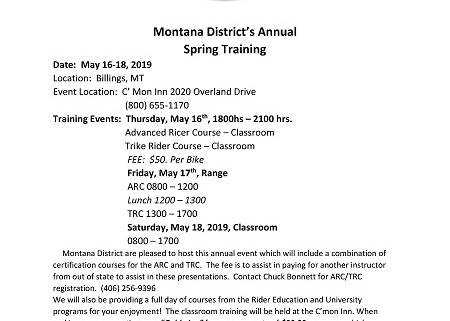 The classroom training will be held at the C’mon Inn. Use “Goldwing” for our group rate of $99.99 per room, which includes complimentary breakfast.